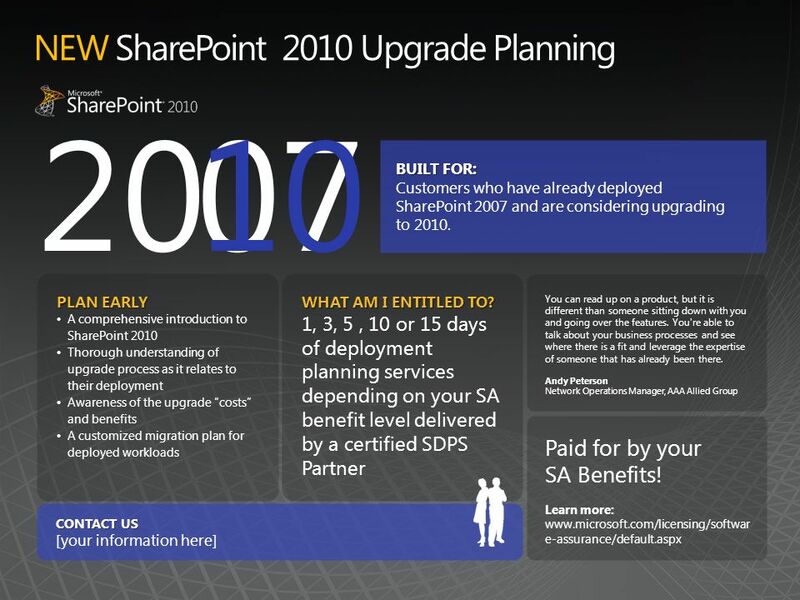 5 PLAN EARLY A comprehensive introduction to SharePoint 2010 Thorough understanding of upgrade process as it relates to their deployment Awareness of the upgrade costs and benefits A customized migration plan for deployed workloads WHAT AM I ENTITLED TO? 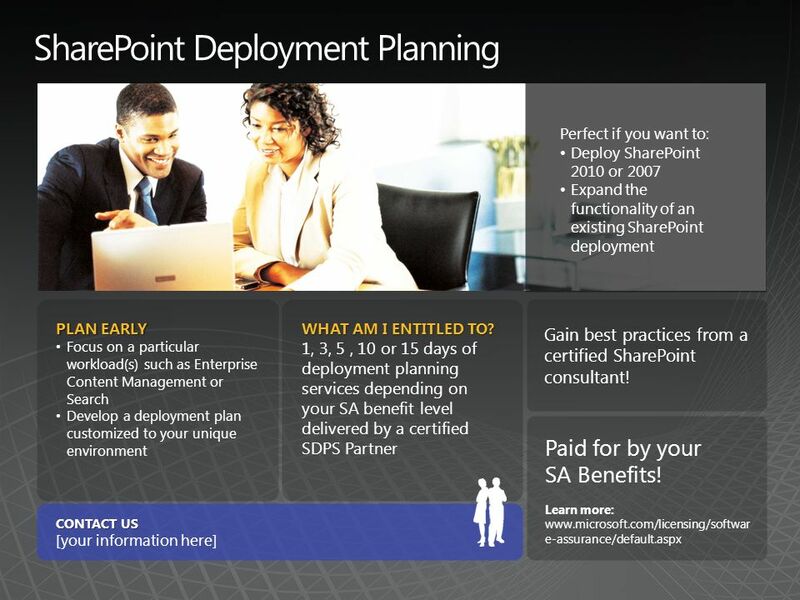 1, 3, 5, 10 or 15 days of deployment planning services depending on your SA benefit level delivered by a certified SDPS Partner You can read up on a product, but it is different than someone sitting down with you and going over the features. You're able to talk about your business processes and see where there is a fit and leverage the expertise of someone that has already been there. Andy Peterson Network Operations Manager, AAA Allied Group 10 CONTACT US [your information here] Paid for by your SA Benefits! 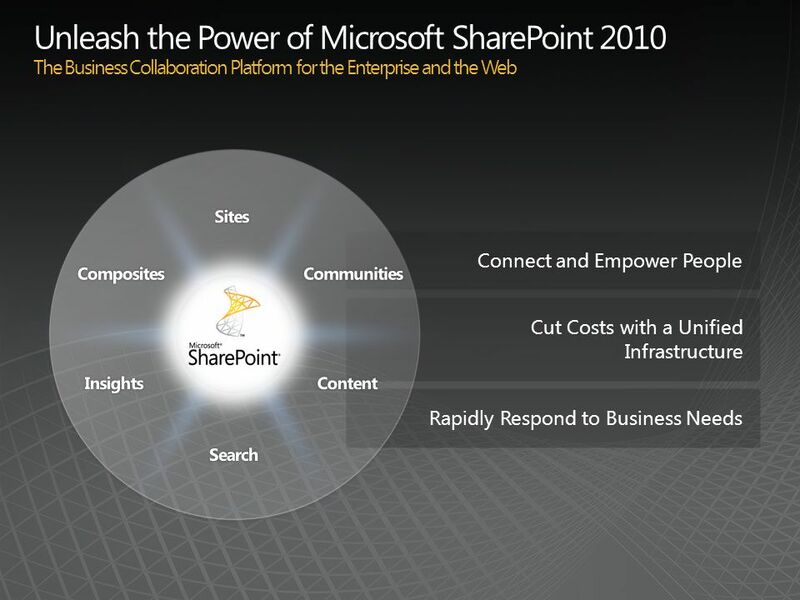 Learn more: www.microsoft.com/licensing/softwar e-assurance/default.aspx BUILT FOR: Customers who have already deployed SharePoint 2007 and are considering upgrading to 2010. 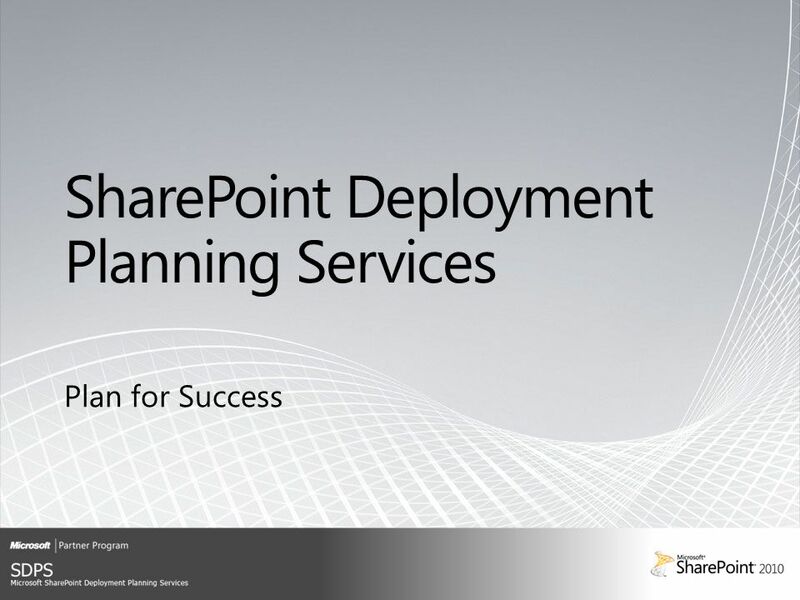 Download ppt "Program Overview "We heard a number of stories of people deploying SharePoint themselves and then having to call in a Microsoft partner to fix their deployment." Partner Technical Services Jan Chr. Rungholm Team & Engagement Manager Global Partner Services - Nordic. 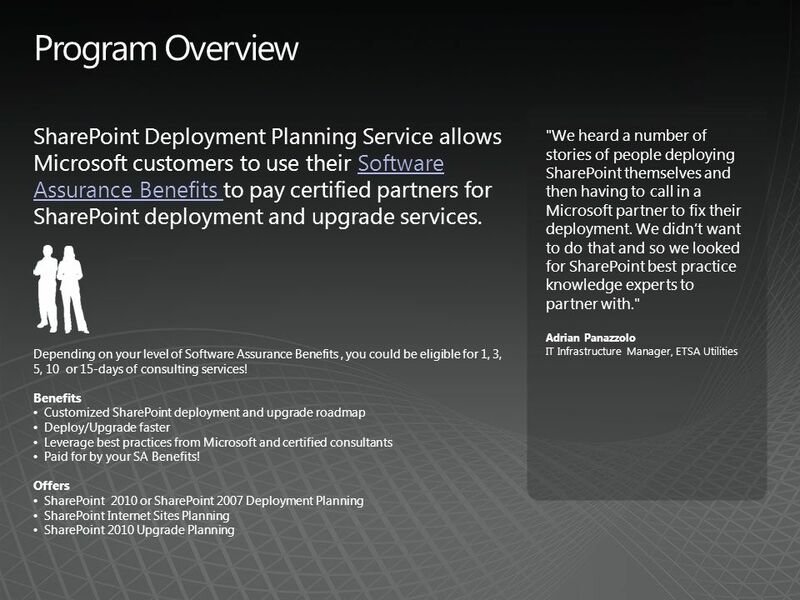 Software Assurance Planning Services Partner Training Module 1: Planning Services Overview, Eligibility and Enrollment July, 2014. Microsoft ® System Center Configuration Manager 2007 R3 and Forefront ® Endpoint Protection Infrastructure Planning and Design Published: October 2008. 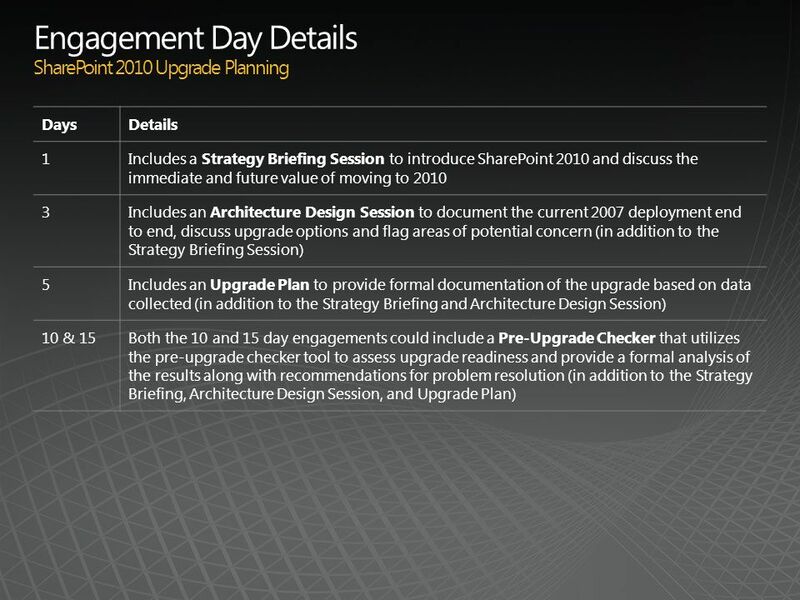 DirectAccess Infrastructure Planning and Design Published: October 2009 Updated: November 2011. 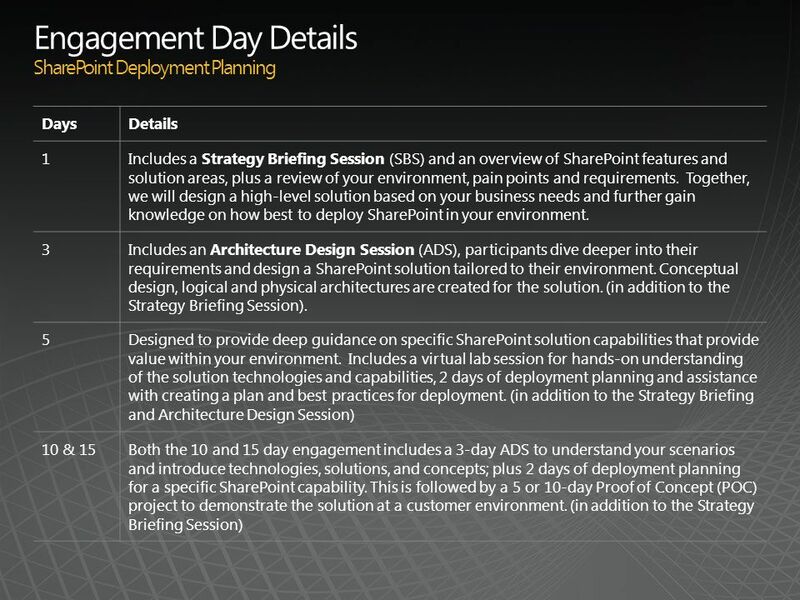 Envision – Architect – Prove Scott Mauvais Technical Director Microsoft Technology Center. Introducing Competitive Sales Assistance….. Pre-Sales Technical Support – Now expanded with Competitive Sales Assistance Driving greater competitive wins. 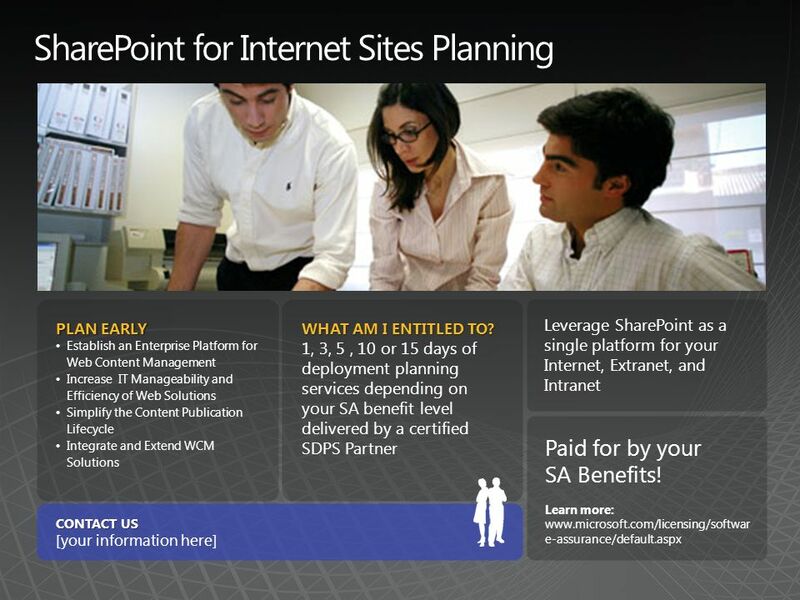 PARTNER SERVICES Januar Partner Services – MPN Benefits Community MAPS D&D Subscription Silver Competency Gold Competency Unlimited Business Critical. Business Productivity Infrastructure Optimization Campaign 1 Day 1: Business Productivity Infrastructure Optimization (BPIO) campaign We will introduce. Enterprise Web Content Management Path to developing a Competency Center Presented To: Presented By: Gilbane ConferenceBrian VanDeventer IT Manager, Web. 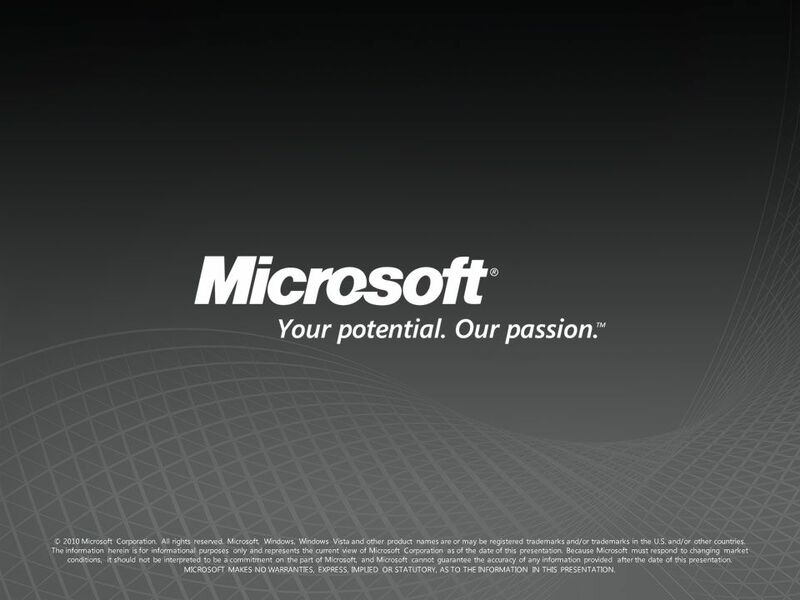 Service Provisioning Service Provider Consulting Microsoft Consulting Services harvests the knowledge, experience, and tools established by designing and.